There is a special place for kids here in Singapore. It is called the Singapore KidsSTOP. It is a Science Centre sponsored by Building & Construction Authority, LEGO Education, Tote Board and Civil Aviation Authority of Singapore. The Centre costs S$ 10 million and it is nestled in 3000 square meter of land. It will open in June this year. The icon of the KidsSTOP is The Big Dream Climber. It features a 9 metre climbing structure. 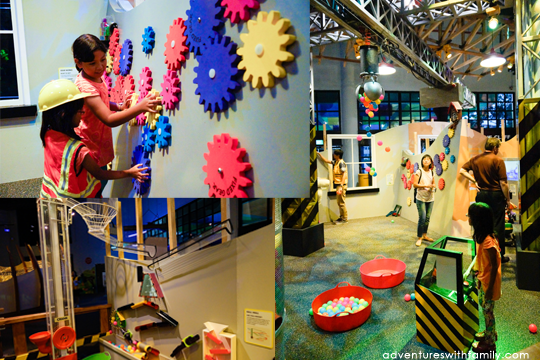 The structure will surely inspire kids to be active while playing with gravity. Everyone is excited to witness the magnificence of the Big J Slide. There are kids who want to be a scientist – the kind that uncovers skeleton and fossils. Now you can give them what they like. The Centre will give your kids a uniform so they can dress up like a Palaeontologist and begin to dig. Kids are fond of structures and how they are made. They will be happy to build their own structure. The Building & Construction Authority sponsored Built Environment. It allows kids to operate cranes and create their own structures. If your kids are particularly interested in frogs, crabs, insects and mice, you should bring them to the Critters section. They will learn many things there. If your kids want to join you in the supermarket always, you can simply bring them to the Centre and let them shop. Your kids will be indulged in role-play as they become the customer or cashier of the supermarket. Flight and Space is sponsored by Civil Aviation Authority of Singapore. Your kids can fancifully build their own planes or they can be a pilot for a day. That is a big thing. 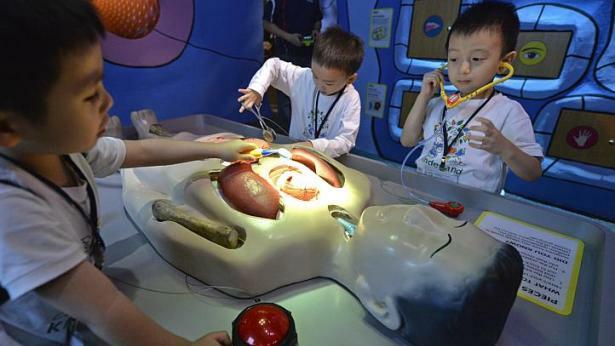 If your kids want to be a doctor or nurse, the Human Body section is best for them. The kids will surely love to role-play as a doctor or nurse. While they do that, they will learn facts about the human body. They will know many parts of the body. That is not enough. In fact, the sponsors are planning to expand the Centre. The expansion will involve satellite centres in other parts of Singapore. The sponsors are serious about making the Centre the pride of Singapore. For sure, every kid and their parents are excited for this Science Centre.